X-ACTO X231 5 piece No 1 Precision Knife Blade Assortment. For general cutting, scoring, and chiseling paper, balsa, and cardboard. 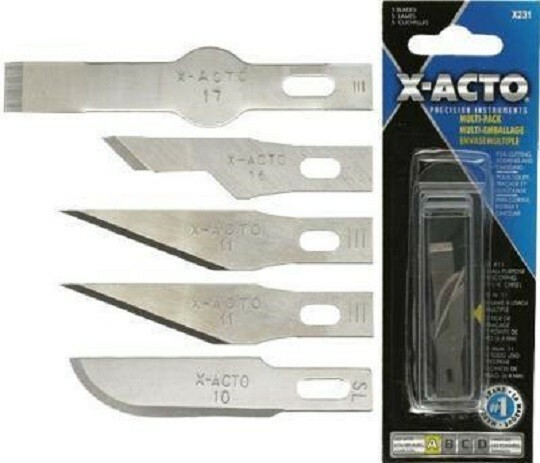 Contains 2- no11 fine point blades, 1- no 10 Curved blade, 1- no16 offset blade, and 1- no17 1/4 inch chisel point blade. Fits 1/4 inch Type A X-ACTO Handles.